Transition year students from schools in 14 dioceses running the Award met us at our TY Expo stand. We were delighted to meet everyone. TY EXPO 2017 takes place at Punchestown Racecourse Event Centre on Monday 11th and Tuesday 12th of September 2017. The Pope John Paul II Award is delighted to be exhibiting this year. We’re really looking forward to meeting lots of the 7,000 people expected to attend, answering questions on the Award and explaining how useful the Award is to anyone in Transition year. 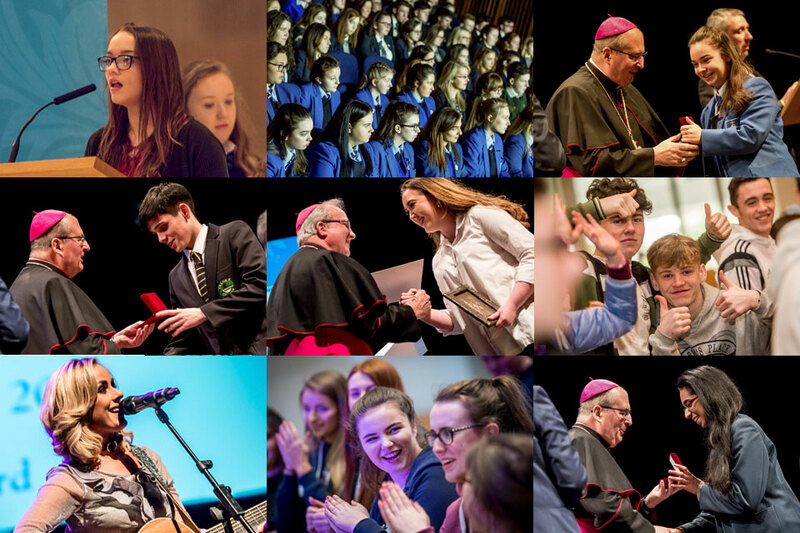 We will have information for TY students seeking volunteer opportunities, activities and programmes in their schools, parishes and communities. We will also have information and advice for RE teachers and Award leaders looking to lead TY groups in their schools and parishes. The venue will be open for exhibitors to set up from 2pm – 7pm on 10th September (Sunday) and exhibit breakdown will be after 2pm on 12th September (Tuesday). Location: Punchestown Racecourse, Naas, Co. Kildare. The venue is a 10 minute drive from both the N7 and N81 and is within 25 minutes from the M50 (Red Cow). Look out for us at stand F05, opposite the Gaisce stand. 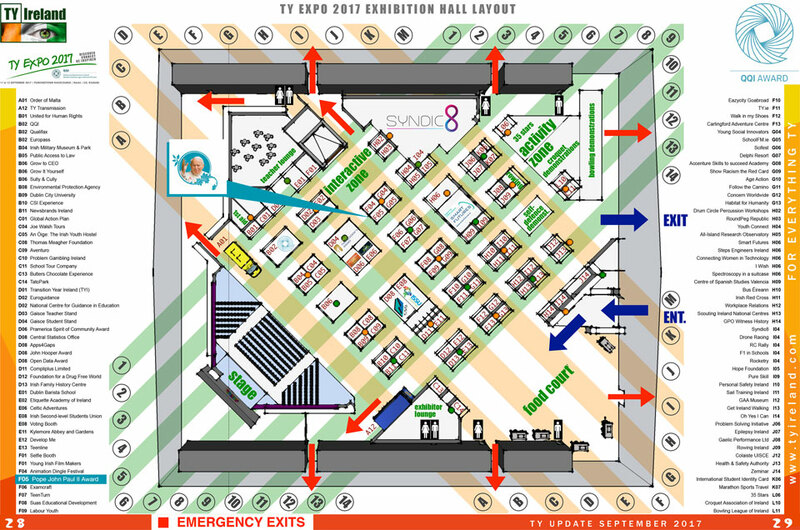 For your convenience, a floor plan of the exhibition hall is below as well as a list of exhibitors. If you would like to find out more about the Award, or are doing Transition Year, contact us. We’ll connect you with the Award leaders in your area.